This month, my wife and I celebrate our third anniversary. Laura is the best thing that has happened to me, and I count myself incredibly blessed to share my life with a woman who is beautiful, incredibly funny, virtuous and holy, industrious, strong, unfailingly cheerful, and a wonderful mother to our children. Before I met Laura, though, I confess I didn’t always have the best luck with women. In fact, I had somewhat of a kamikaze approach to dating that involved a lot of crashing and burning. But despite my mishaps, I learned a lot of good lessons—lessons that I believe made me a better man. 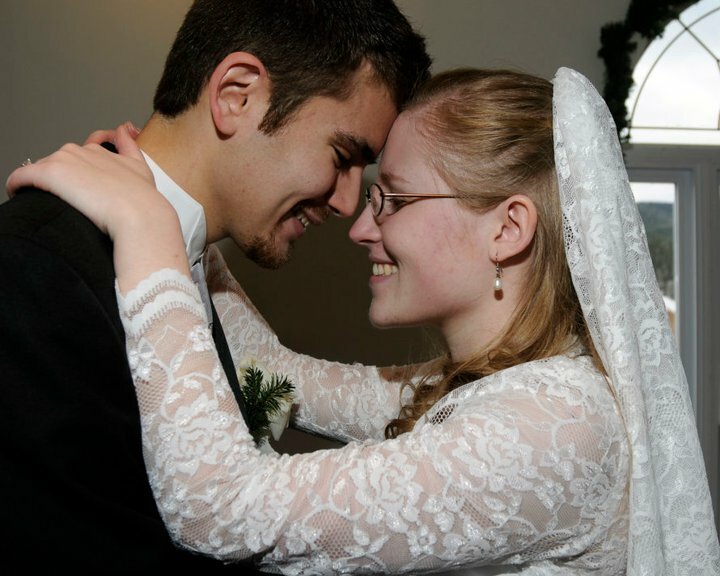 Beginning today, I’d like to share a few of those lessons with Catholic men who have discerned they are called to marriage, but who have not yet found a spouse, or if they have, have not yet gotten married. Why? Because let’s face it, we live in a culture that is hostile to marriage. If you want to get married and start a family, especially at a young age, you’re looked at as some sort of freak, or at least hopelessly naïve. Most people believe that monogamy is unrealistic, limiting, and unfulfilling, and the responsibilities and challenges that come with marriage and family are to be avoided at all costs. In writing this series, I want to disabuse some of those erroneous notions, as well as provide encouragement for those who hope to receive the sacrament of Holy Matrimony. I hope to provide some basic advice for those who want to approach relationships in a way that is pleasing to Our Lord. Please be aware that, having been married only a short time, I do not consider myself the expert on marriage or dating. Some of the things I will share I have learned from experience, but many of the them are universal principles that I have gleaned from others. Finally, it is my desire that this be a conversation, with you sharing your experiences and thoughts about this important subject. Stay tuned! Dear Sam, I thank you for the courage of writing this articles, which I find very important in this modern society so distant from God. I understand you were fresh in marriage but advices from experiences of others and the guidelines of the Holy Mother Church are present, that to me means a good path from the initial impulse to the final content. I agree with most of the ideas, myself I have had hard experiences that shaped my personal view on marriage ,through mistakes and thankfully God’s grace, closer to this of a catholic gentleman. I salute your hard work and good spirit. Godspeed. What exactly does that mean? I’m serious. Phrases like “discerned the call to marriage” and “the marriage vocation” are recent inventions. I never ever heard them while growing up in the not-too-distant past. But I see them everywhere now. “I have discerned that I am called to be married, but I can’t find anyone to date.” To me that makes absolutely no sense. First you find someone to date, then perhaps later you decide if you want to get married. This notion that you can “discern” the desire to be married in the absence of a potential spouse just makes no sense at all to me. No matter how long you are married, you will never be an expert on marriage, not even your own. I look forward to reading this series pf posts. This is an important topic, that needs highlighting. Great idea Sam! I am 32, married five years to my best friend and have been blesses with four children. I, like you, feel that I am sharing my life with a saint-in-the-making. It is easy to champion the sacrament when your counterpart makes it so relatively easy. What’s difficult is effectivel sharing these ideas with those that, to some extent, have bought the world’s mantra. Thank you for starting this conversation here at CG. Just a thought. Nowadays, people are dating of egoistic reasons. They want to use the other person to get experience, to play, and so on. Use him/her. Whereas a real Catholic never uses anybody, and dating is good only with one purpose: to see if the other person has the values I am looking for in my future spouse, and if I could create a good christian marriage with her/him. I disagree with it–the culture is not hostile to marriage. On the contrary, if you’re not married, you get a lot of “when are you going to meet someone / get married” questions. I’m a young man currently discerning marriage with a beautiful and virtuous young woman. I greatly look forward to reading your series. Lovely photo by the way. I got married at 23, and never did it cross my mind that I might be ‘too young.’ I had just completed my formal education and had a good job in my chosen field. LITSRB: you may be a fortunate one to have a good job in your chosen field. Many men and women struggle for years have enough work and income to kep their head above water: those are the people who are not marrying young. And if a man made the mistake of going to a Catholic College with a student debt to pay off, is it far to that man or his wife in children to live just above the poverty line? Oh the good “Catholic” College is pestering you for money to build a gym or something else. I don’t have a job in my chosen field anymore, as I am now a stay at home mom who blogs about my experience. I am also the proud graduate of the Catholic University (no mistake here: Go Hall!) who gives what she can when she can. I’m not admonishing people whose heads are not above water: I would like to think the author would agree that this means you’re not ready to get married and as such shouldn’t enter a serious relationship. I’ll set aside your assessment that love is only for those who can afford the luxuries of life. I’m thinking you didn’t intend it to sound so dire. Thanks, Sam! As a relatively young Catholic, I am looking forward to this series! Get Married, Young Man, Part 2: What is Marriage?